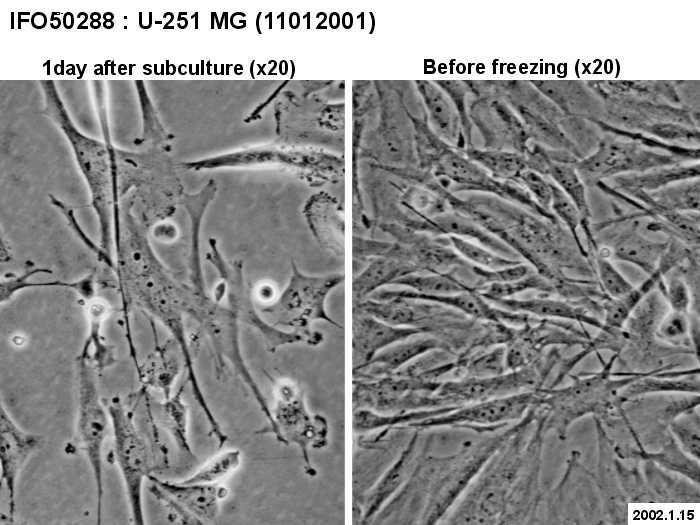 astrocytoma, grade III - IV malignant. 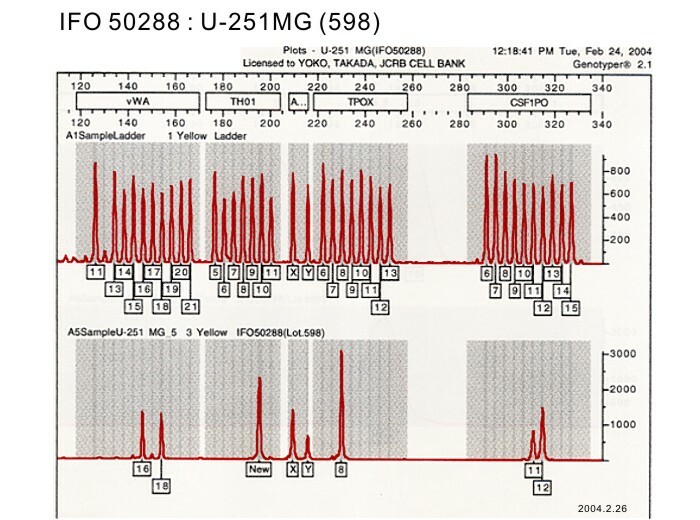 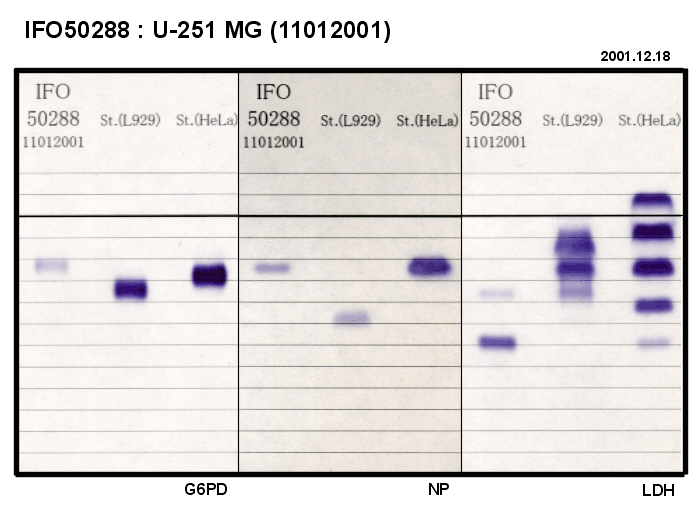 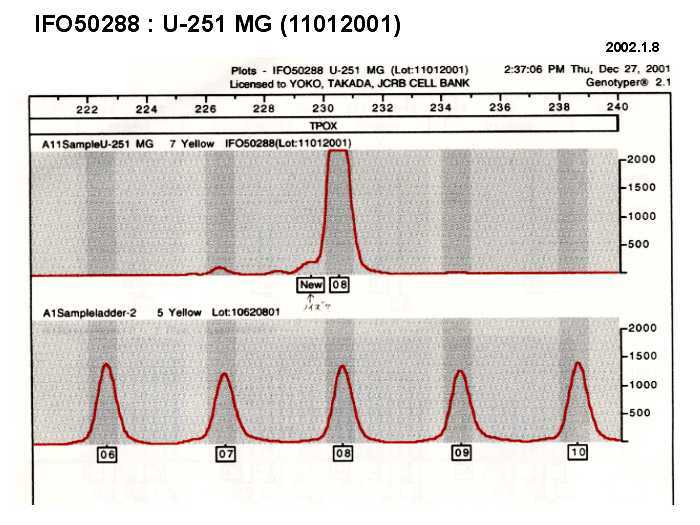 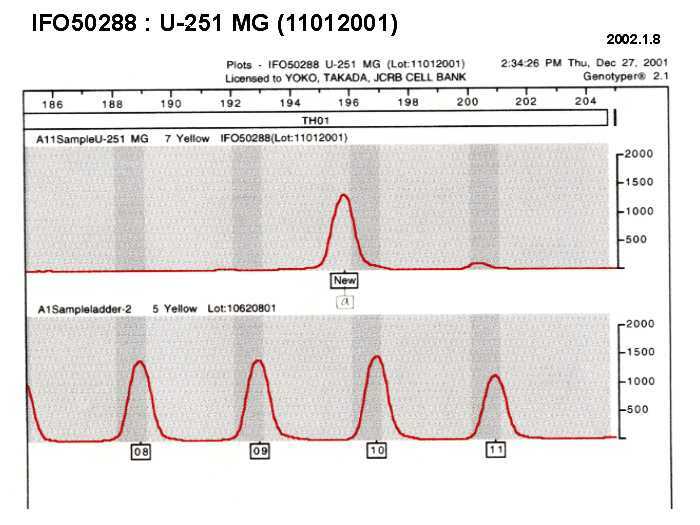 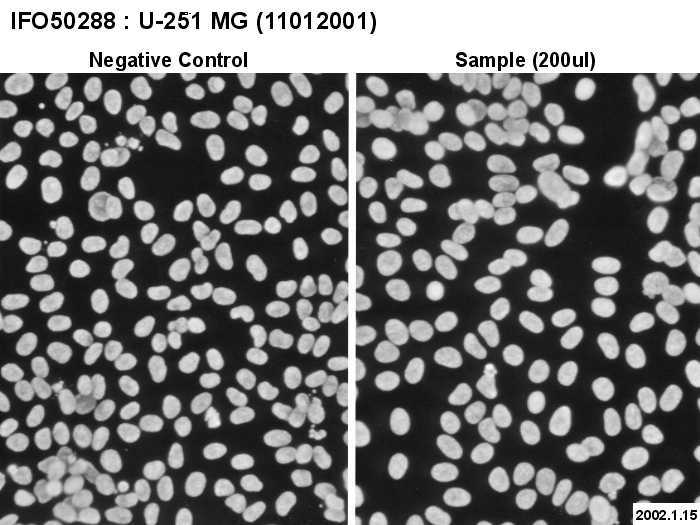 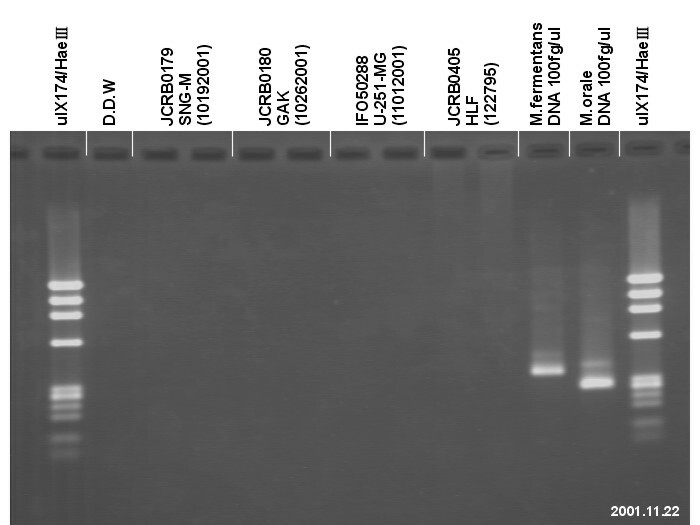 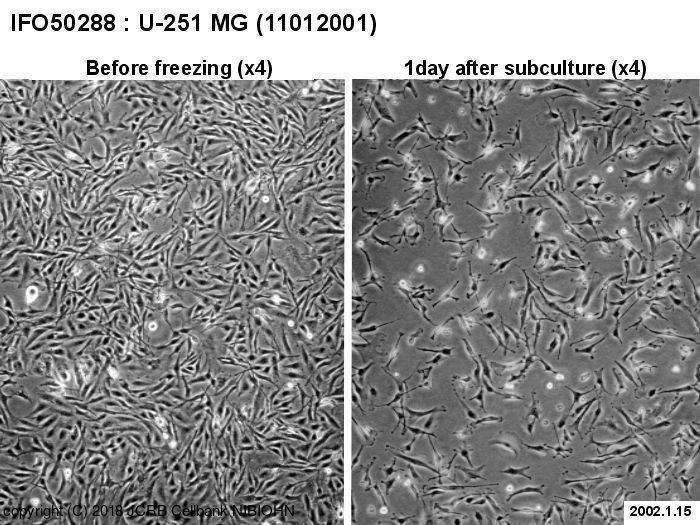 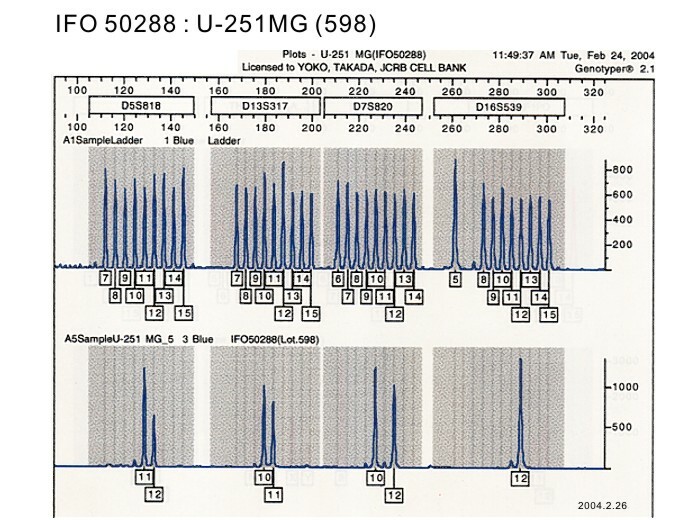 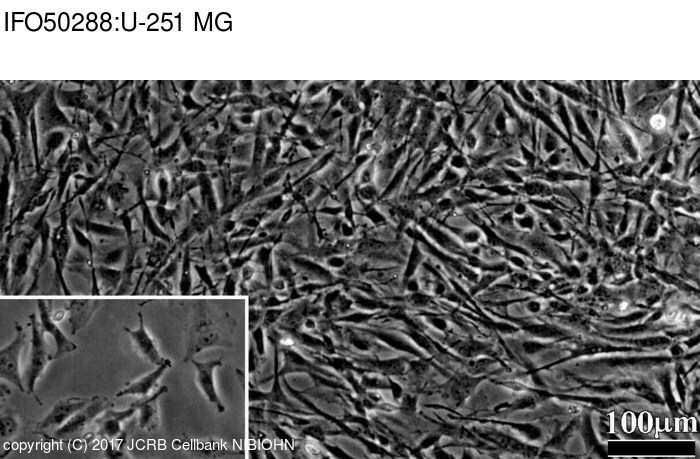 The DNA fingerprint profile confirmed that this cell line derives from the same origin as U-251 MG (KO). 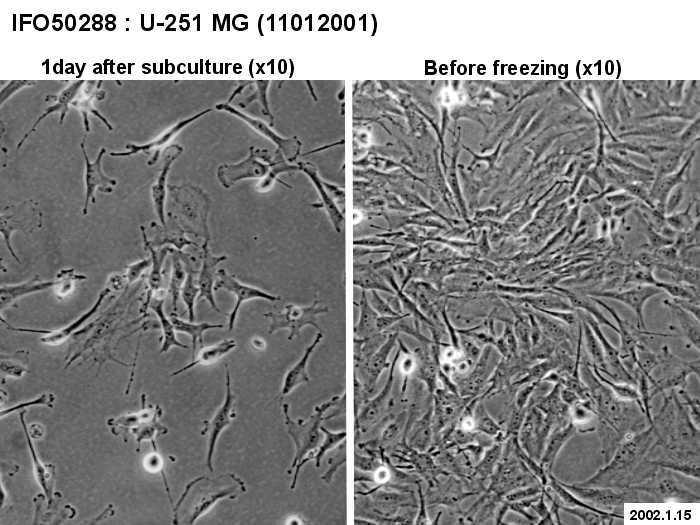 Properties of human malignant glioma cells in vitro. 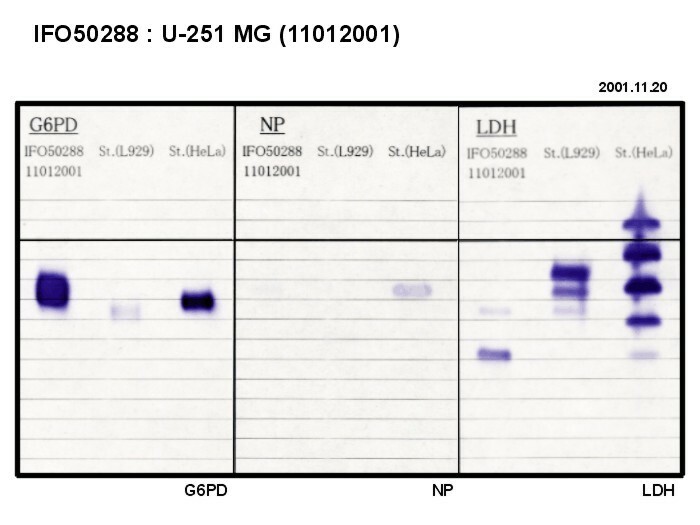 Confirmed as human by NP, G6PD (type B). 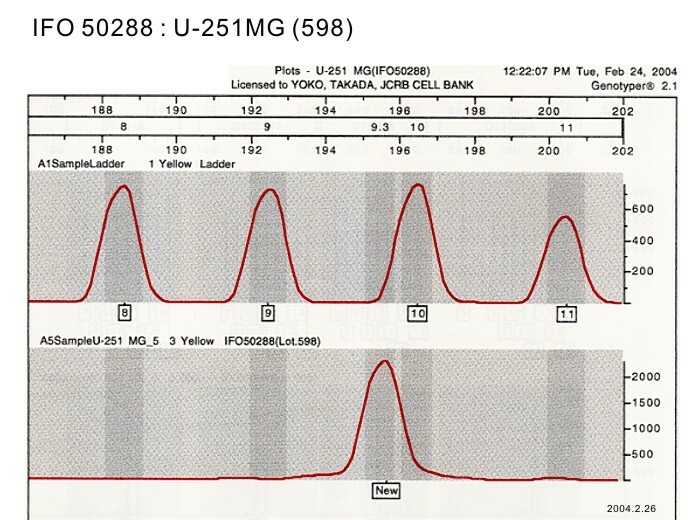 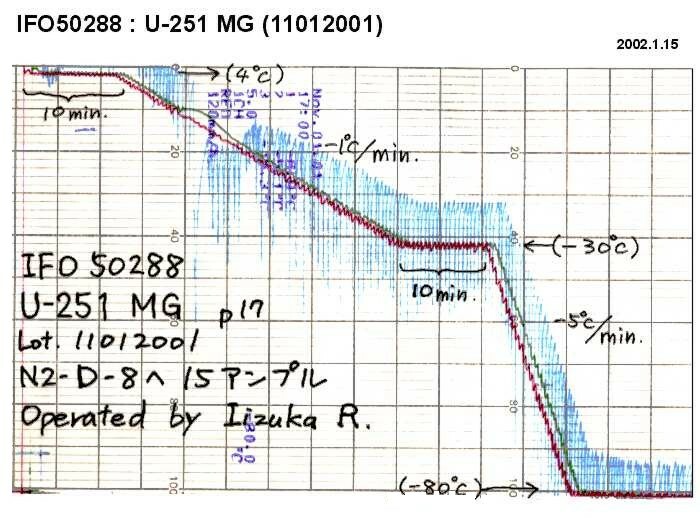 LDH atypical bands exist (common for other U-251 MG).